Pancakes weren’t a big part of my childhood. We only really had them on Pancake Day, and even then only if my brother and I badgered our mum enough to persuade her into the kitchen. Pancakes in those days were thin and crepe-like, served with lemon juice and sugar. It wasn’t until I was in my twenties that I discovered thick, substantial pancakes, first of all when I was backpacking and banana pancakes were the ultimate breakfast in Asia, and then when I discovered Simon Rimmer’s recipe using cottage cheese to make nice American-style pancakes. And finally last year I discovered the joys of vegan pancakes. So this isn’t really a family recipe, but I’ve eaten pancakes throughout my life, and here they are as served to me in a cafe in Prague. Ordering pancakes can be quite a gamble, as you never really know what to expect. I certainly hadn’t expected to get four tiddly little pancakes on this plate, but they were so cute and tasty, and dotted with nice gooey chocolate chips. 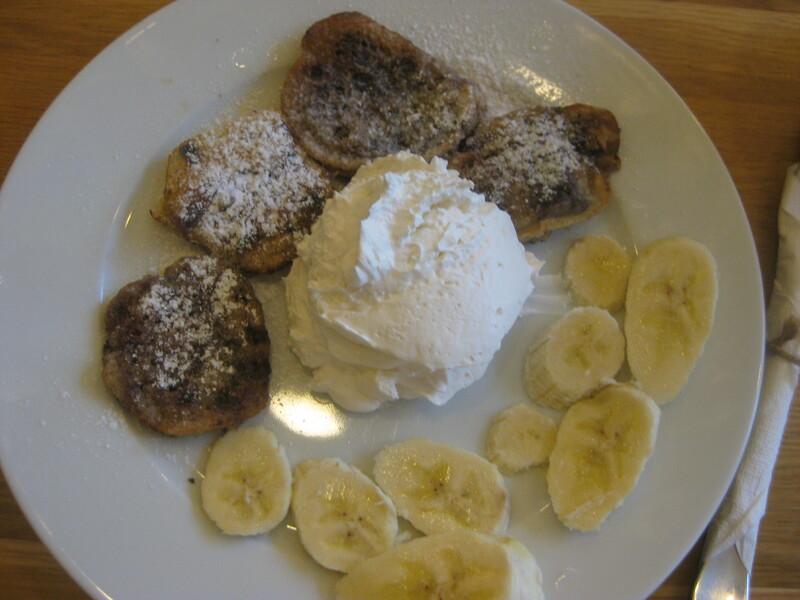 There was a veritable mountain of cream on the plate, but also one of my five a day in the banana, so it was still comfortably healthy. Ah, this was a good breakfast! It’s no longer on the menu in Moment, which is a really nice vegan cafe just a few minutes from my flat in Prague. But its replacement will be mentioned tomorrow, so stay tuned for more vegan Moments! 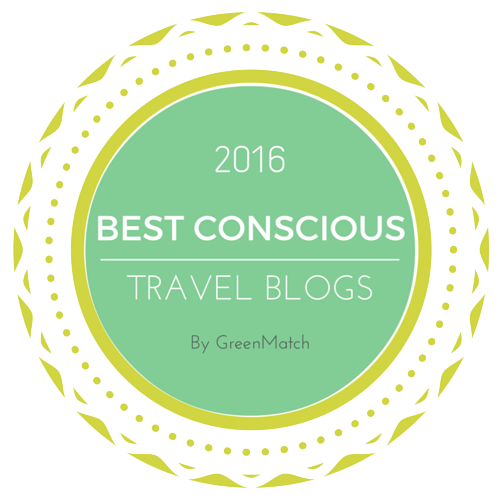 This entry was posted in Travel, Vegan Mofo and tagged Moment Prague, vegan breakfast, vegan mofo, vegan pancakes, vegan Prague. Bookmark the permalink. Ooh that looks like a real treat for breakfast. Great that they had chocolate chips in them. Chocolate for breakfast is always the best!